There's great exciteiment at The Zorb Zone as we have now taken delivery of our wonderful new Pony Pedal Carts in both children's and adult's sizes! 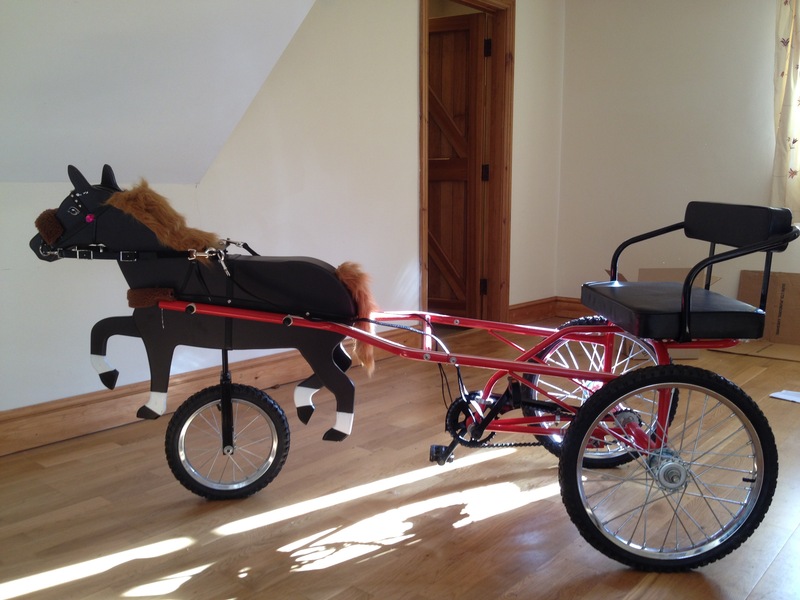 These beautifully produced pedal powered carts are available to hire for racing both indoors and outdoors! Have a Pony Party or a Race Meeting - they're perfect for play time, for Birthday parties, Corporate events or as camp ground transportation, for cook outs, street fairs, parades, publicity rides and fund raisers. There are even rumours that Santa will be calling in to Christmas parties this year on the adult sized version! As with all The Zorb Zone's activities, Pony Pedal Carts are great fun whilst also being good exercise. They can be pedalled forwards and in reverse and are steered by the reins that are attached to the spring loaded front wheel. The adult version is similar but has a larger more carriage-like seat and is suitable for older children as well as adults.